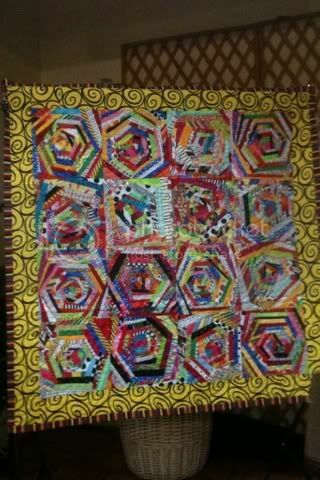 Last night I went to the Arroyo Grande quilt guild meeting. The guest speaker was Freddy Moran, a quilter well known for her bold color choices. I was so inspired after looking at her quilts!!! 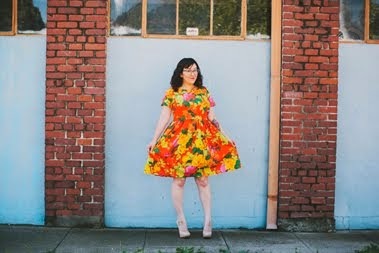 She literally follows no rules, she buys whatever fabric she wants, and has no design/size in mind when starting her projects. It was refreshing to be reminded that there are no boundaries, just make what YOU like and don't worry about everyone else! I love any type of free-form art. Beautiful! If you are interested at all you should come with me to the next meeting. I want to join the guild, I think.